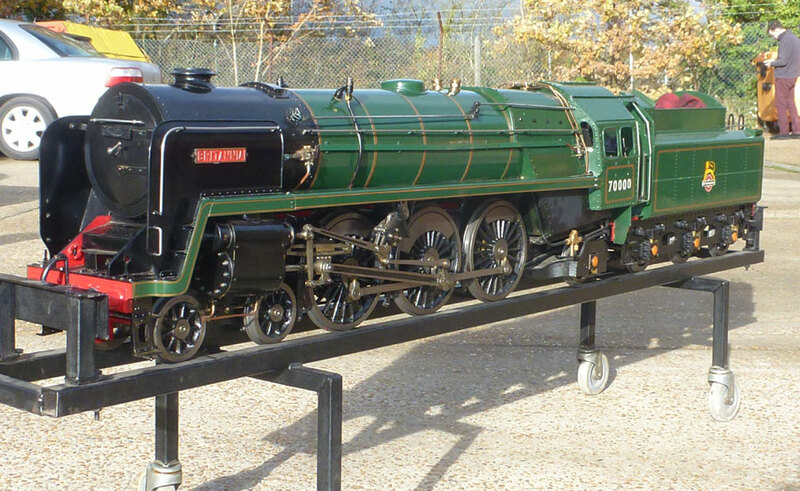 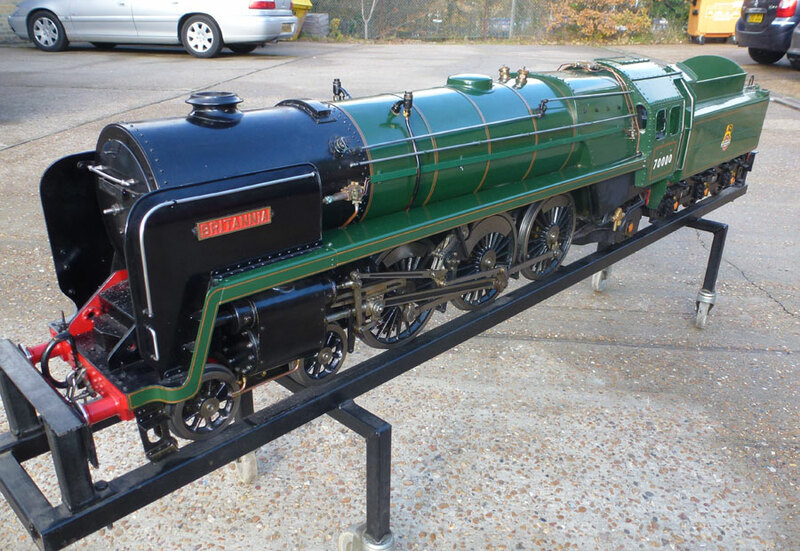 A popular large 5" model, this locomotive was built purely with running in mind, you will see that it has a few alterations from the standard design that circumvent problems known with this and similar models. 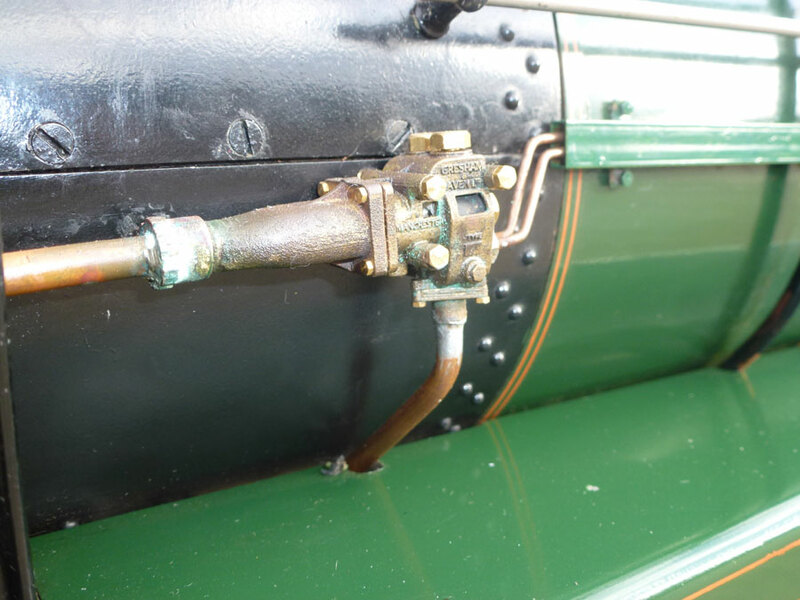 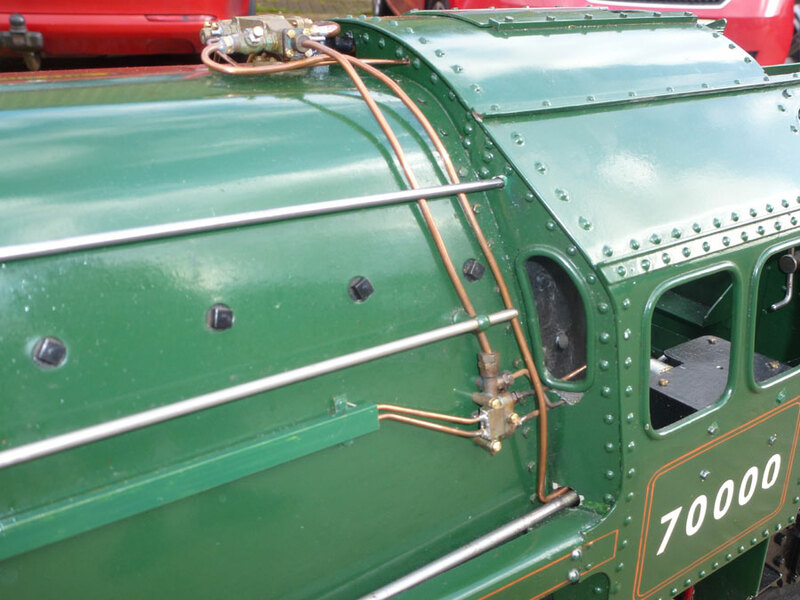 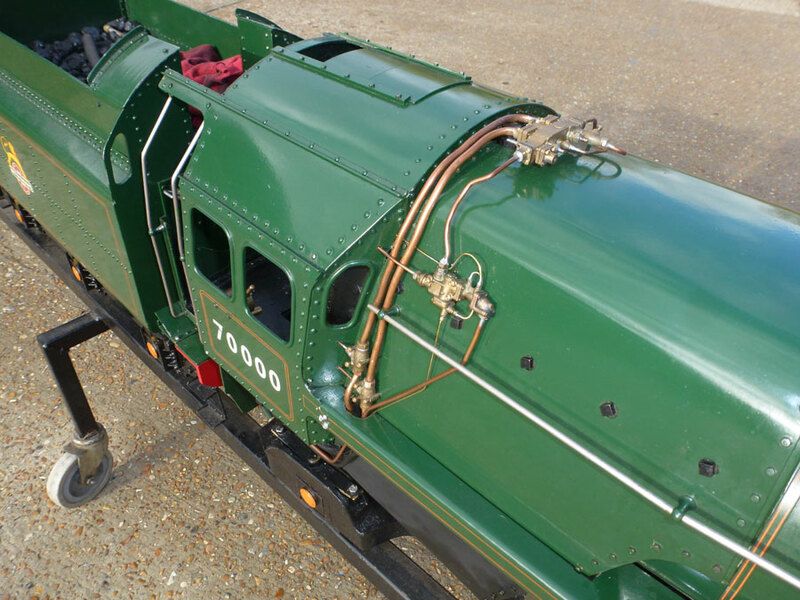 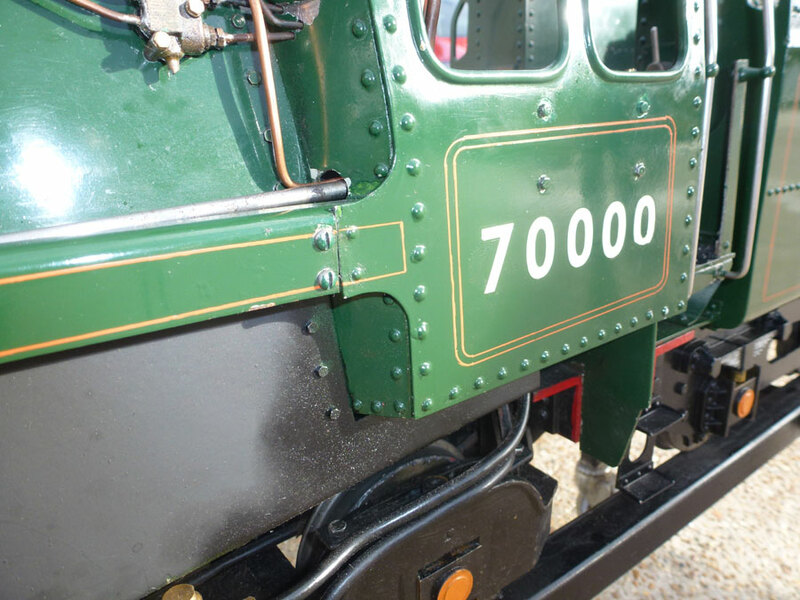 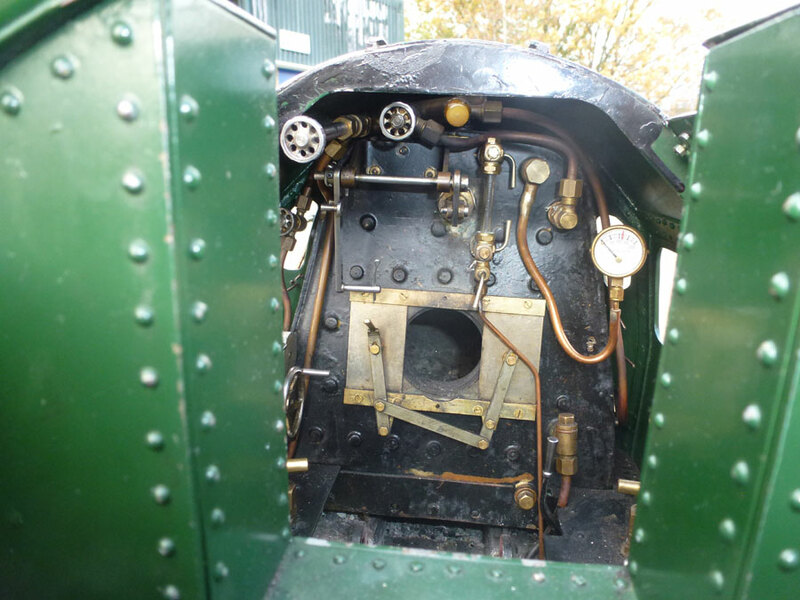 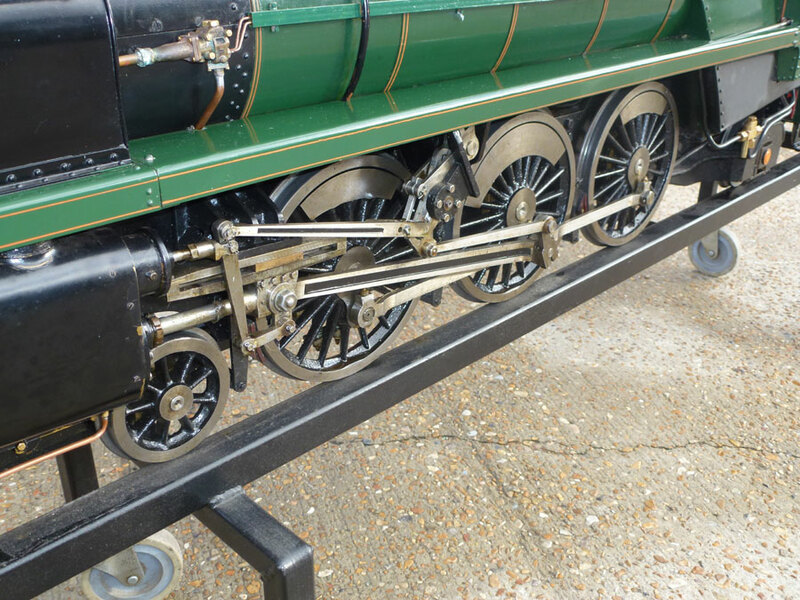 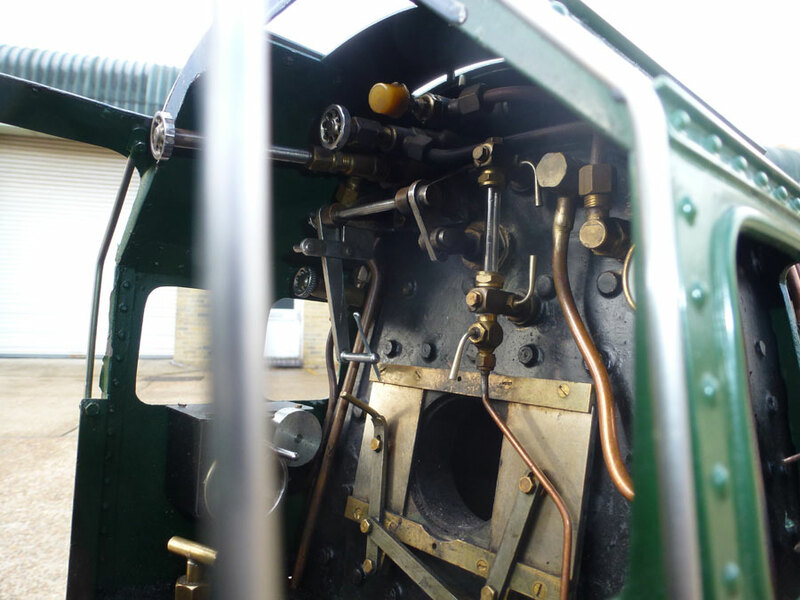 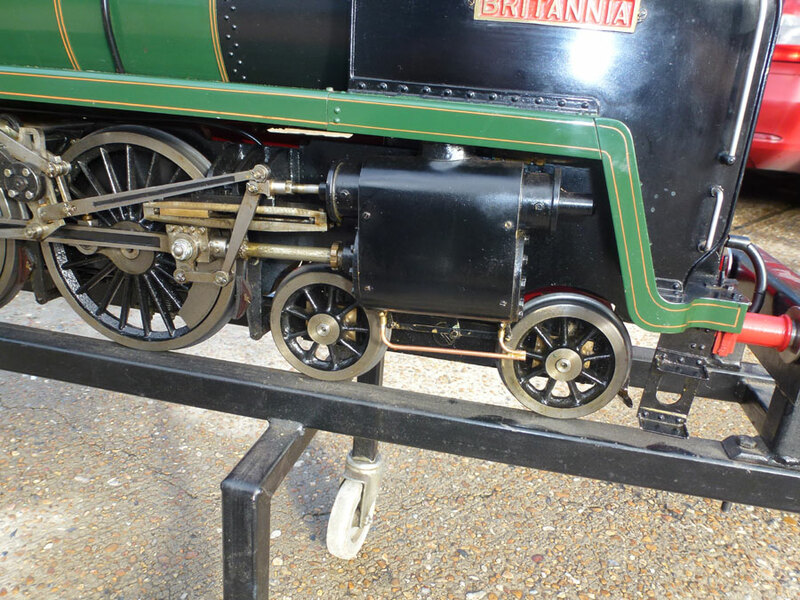 The regulator is mounted on the back head of the boiler, which is not standard but removes any of the problems associated with smokebox mounted regulators. 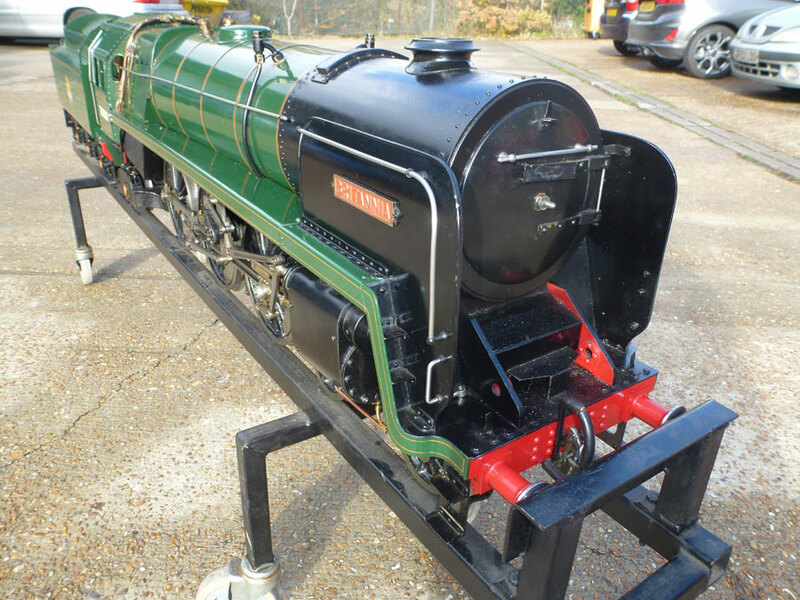 Built in the 80's as a display piece it was only commissioned within the last few years, where it has done some public running and been looked after by a very careful owner. 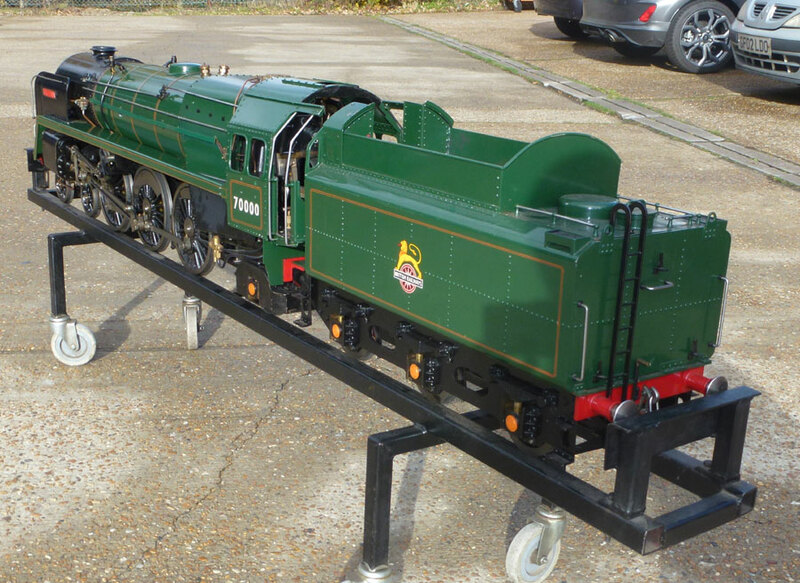 Aesthetically tidy, with nice colouring and lining though somewhat lacking in the finer scale detail we have seen on some of these models previously. 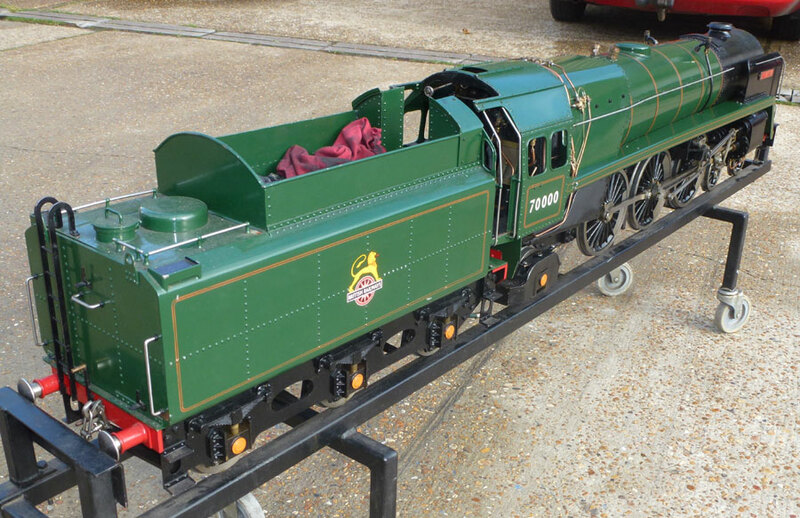 This is not to say that this model is not fantastically detailed, with the addition of lots of high-quality castings, we will let the pictures of this one speak for itself. 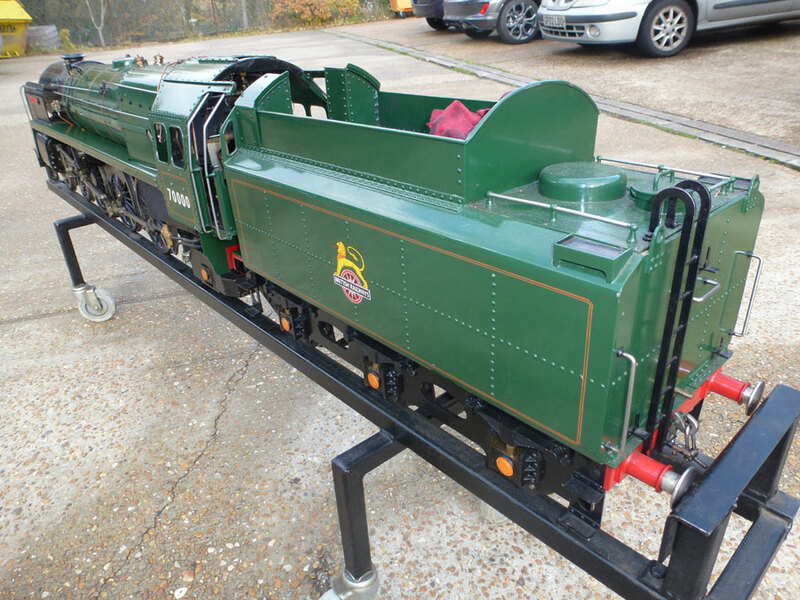 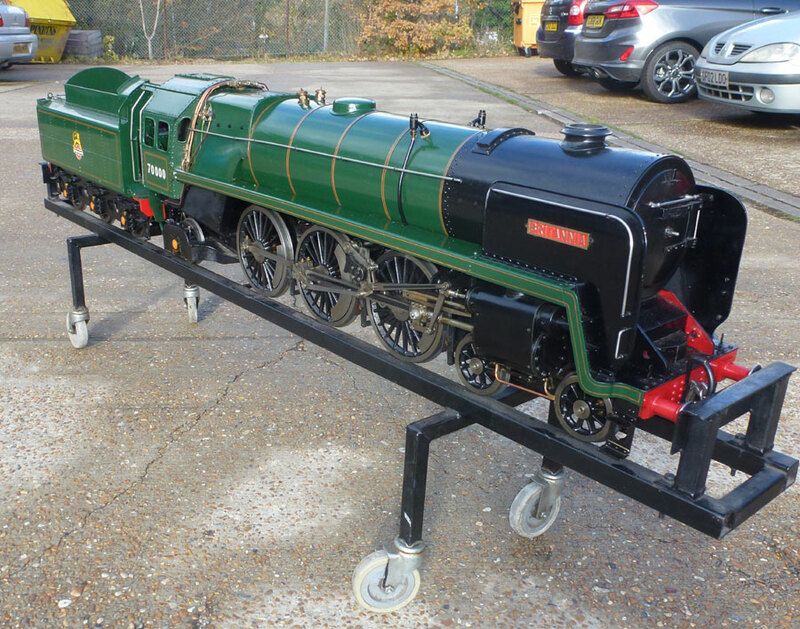 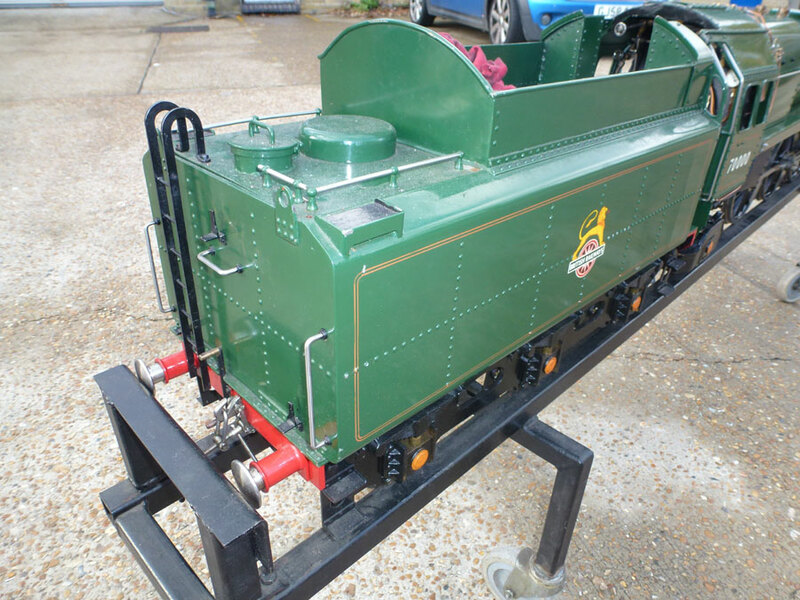 This locomotive would be ideally suited to club running, or to a life on a small garden railway and is guaranteed to turn heads. 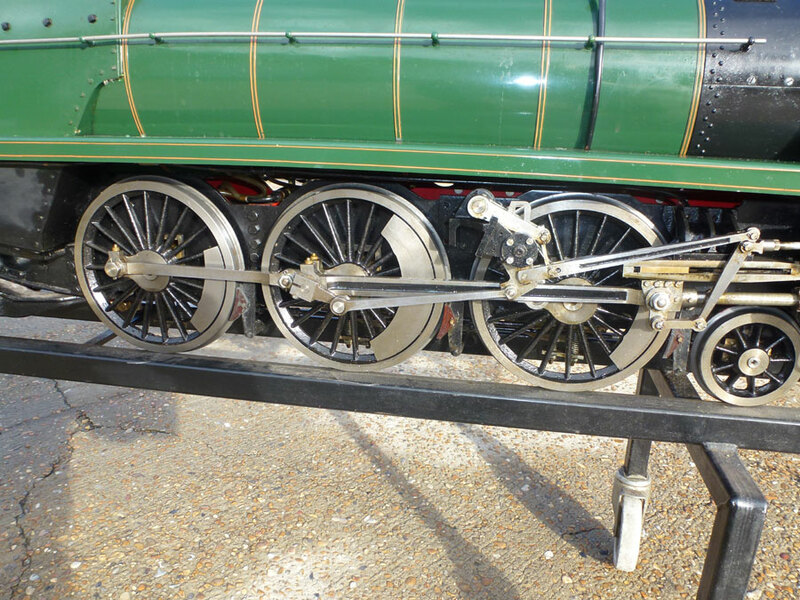 Came to us with current Southern Federation certification.